After the closure of the Albion Hotel, which became a convent for the Sisters of the Assumption, the "King George Hotel" was built in 1910. 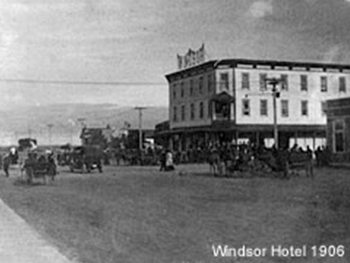 In time it became the New Windsor Hotel, then adopted the current name of the Windsor Hotel. The Windsor Hotel is located at 105 - 22nd Street West.